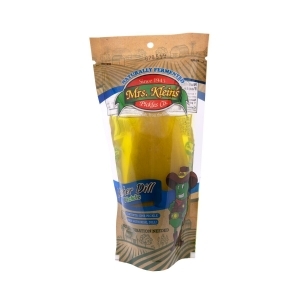 LARGE KOSHER DILL PICKLES conveniently packaged in sturdy single serve pouches. These pickles are naturally fermented and packed with healthy probiotics. Kosher Dill Pickles are made with real GARLIC!